Over the last couple of years I’ve been keeping an eye on the evolution of the Fujifilm X100 series of cameras, since I really like the retro and range-finder-like design. The latest iteration is the X100T, and most of the things that made me hesitate in buying an X100 series camera have been fixed. So about a month ago I took the plunge and brought an X100T for everyday and personal use. 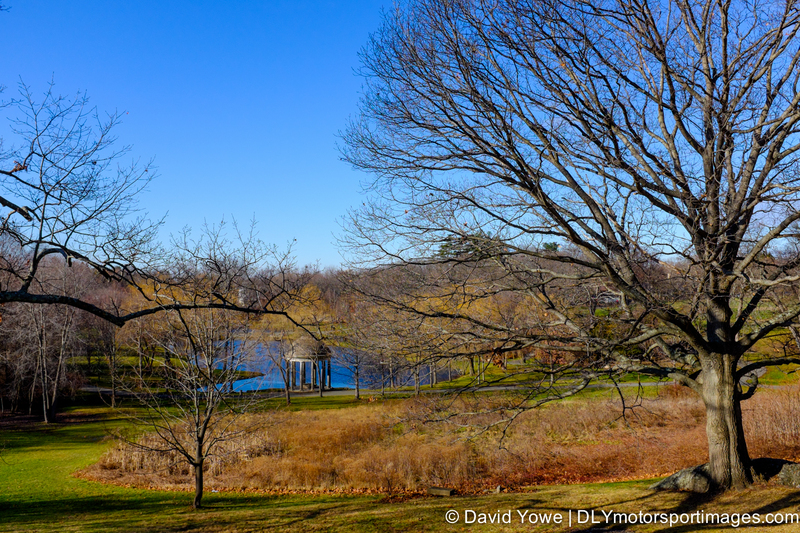 This photo story is about my thoughts on the X100T and a walk-around of the Larz Anderson Auto Museum with this camera. Hope you like the photos. The X100T is a mirrorless camera with a 23mm (35mm equivalent) f/2.0 fixed focal length lens and a 16 MP CMOS APS-C sensor. Dedicated dials or rings are used to set the shutter speed, exposure compensation, and aperture. Various buttons on the back of the camera can be customized for use. 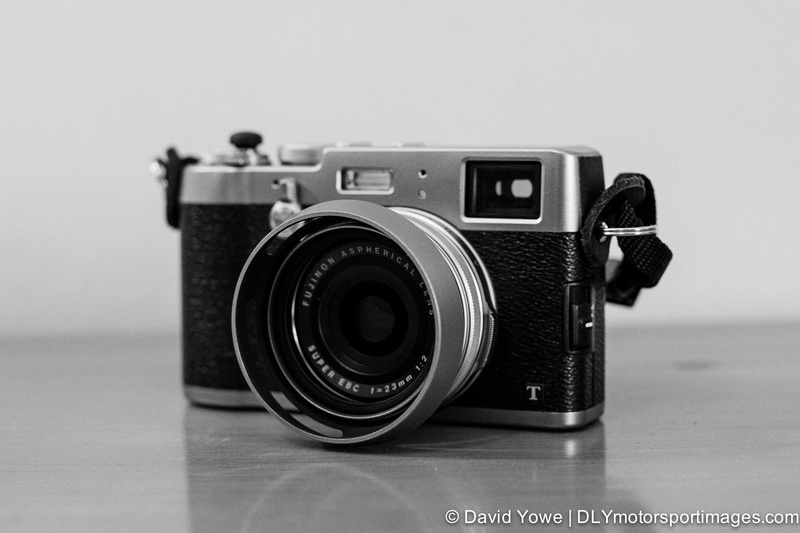 The image above shows the X100T with an optional FujiFilm lens hood and a Match Technical soft release screwed into the shutter release button. The main feature I like about the X100T is the hybrid electronic/optical viewfinder (EVF/OVF) (top right) which is selected using a lever (top left). Being “old-fashioned” I’ve always preferred OVFs (as in DSLRs), and have been skeptical of EVFs due to the noticeable lag in the image. 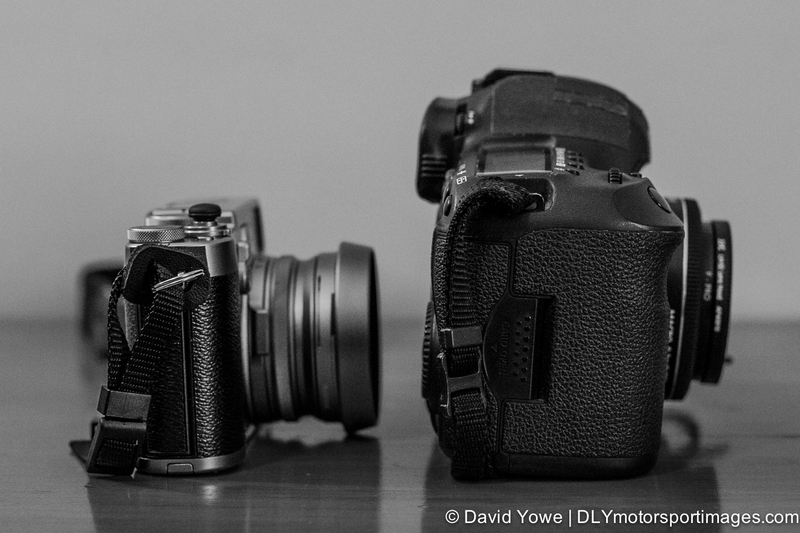 However, in the latest generation of mirrorless cameras this EVF lag has been largely minimized. Also really like how a small EVF can be accessed in the lower right-hand side of the OVF (like picture in a picture on a TV), which enables you to check focus/exposure. I find I’ll switch between the OVF or EVF depending on the situation and lighting conditions, since in low light the EVF can be very “noisy”. 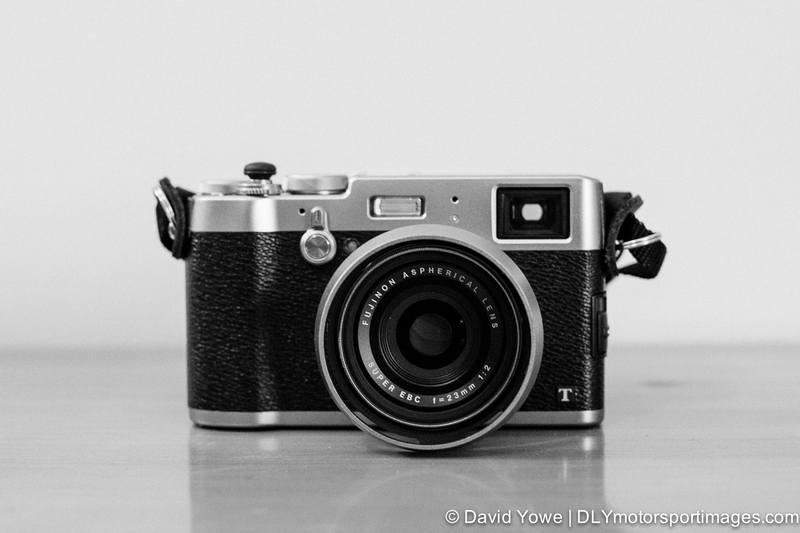 The relatively small size of the X100T has obvious advantages, but also disadvantages in terms of handling and ergonomics when you are used to handling DSLRs. For motorsport photography my cameras of use are Canon 5D Mark IIIs with battery grips attached, and the large-size of these cameras is great for handling the large lens attached and for ergonomics of button/dial control placement. Hence, it has taken me some time to get used to the X100T with its smaller size and corresponding smaller buttons and space between controls. 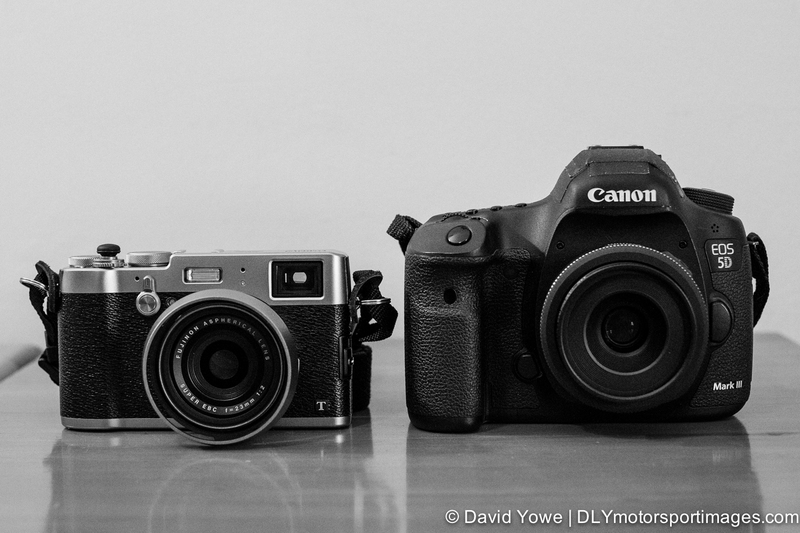 Above are a couple of photos to give you an idea of the size differences between the X100T and 5DIII (with 40mm f/2.8 pancake lens attached). However, learning how to use the X100T is a lot of fun, and the inherent slow-down in time to use the camera also has made me think more about the photos I take. I guess its like going from an automatic to a manual (stick) gear shift car. 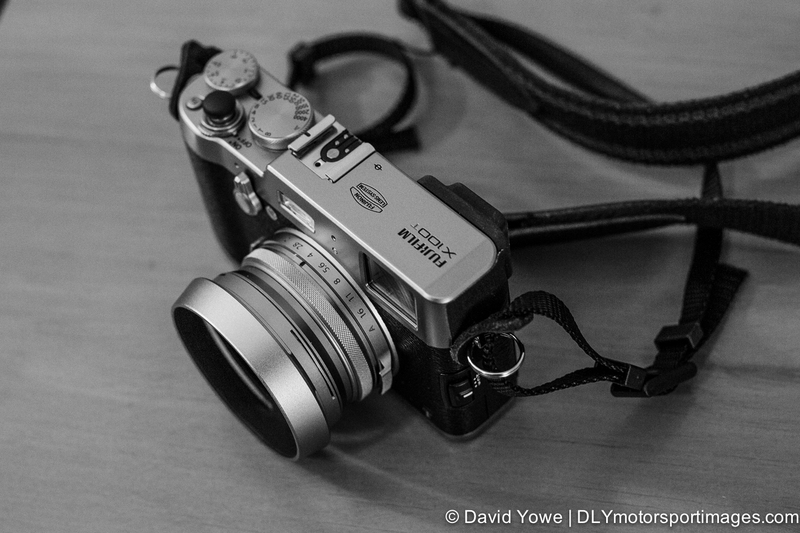 In either case, I really like the X100T and the nostalgia it brings from its retro and range-finder-like design. Its a fun camera to use and brings you back to the basics of photography. 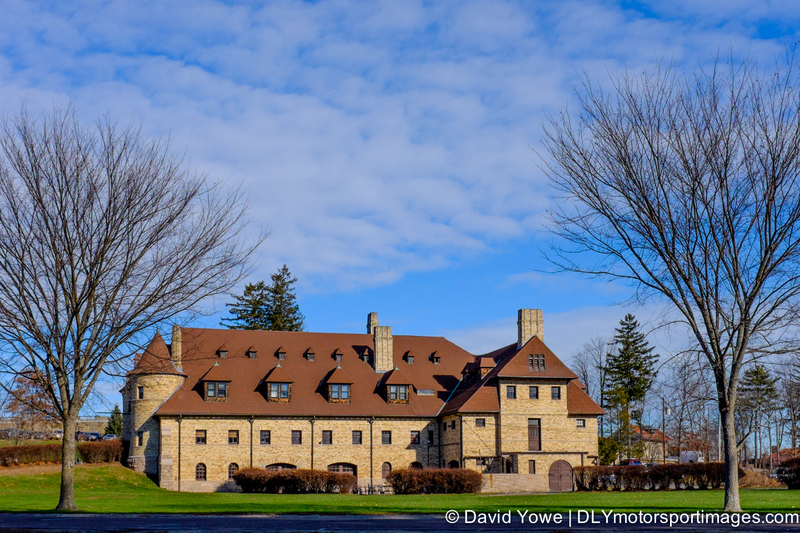 Now onto the second part of the story, which is my walk-around the Larz Anderson Auto Museum with the X100T. 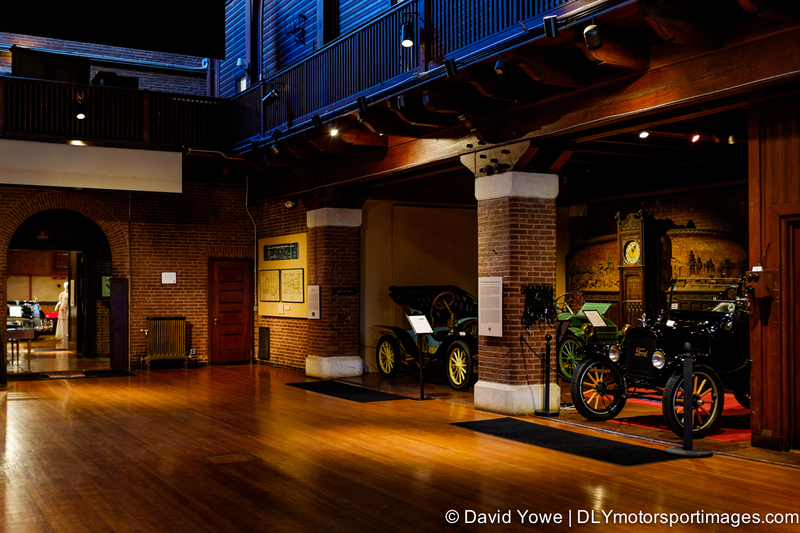 The Larz Anderson Museum is home to the the oldest car collection in America (http://larzanderson.org) and is located in the original Anderson Carriage House in Brookline Massachusetts. One could only imagine how impressive the mansion must have been. 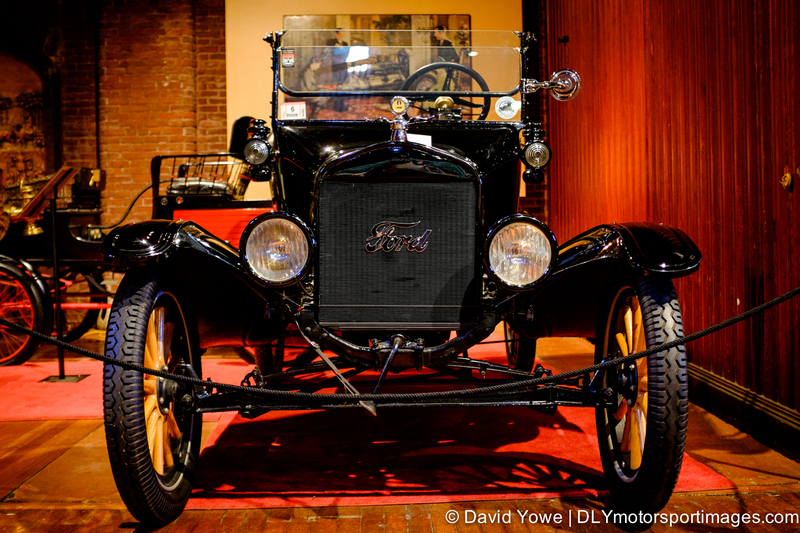 As you walk into the museum you see to your right a Ford Model T.
Here’s a closer look at the Ford Model T.
To your left at the entrance, is a 1929 Cord L-29, which was the first American front-wheel drive car to be offered to the public and was powered by a 125 hp L-head inline 8 engine. 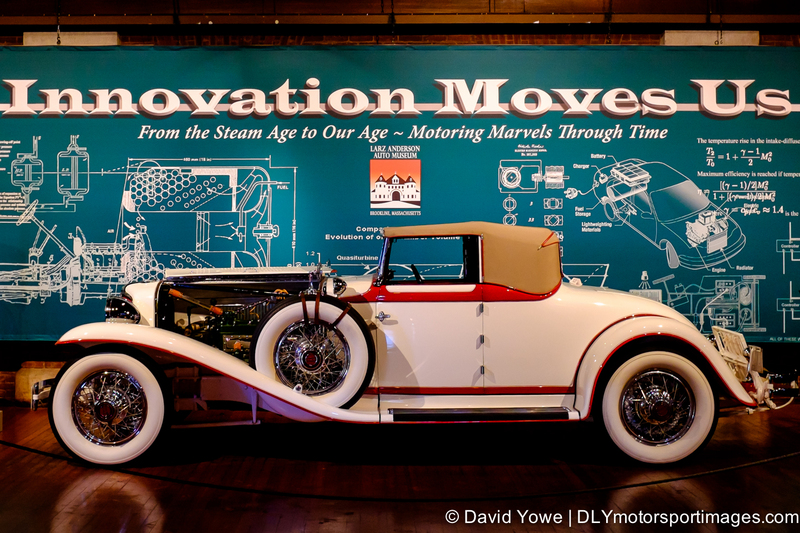 Towards the back of the museum is a 1938 Packard Twelve Custom Landaulette. 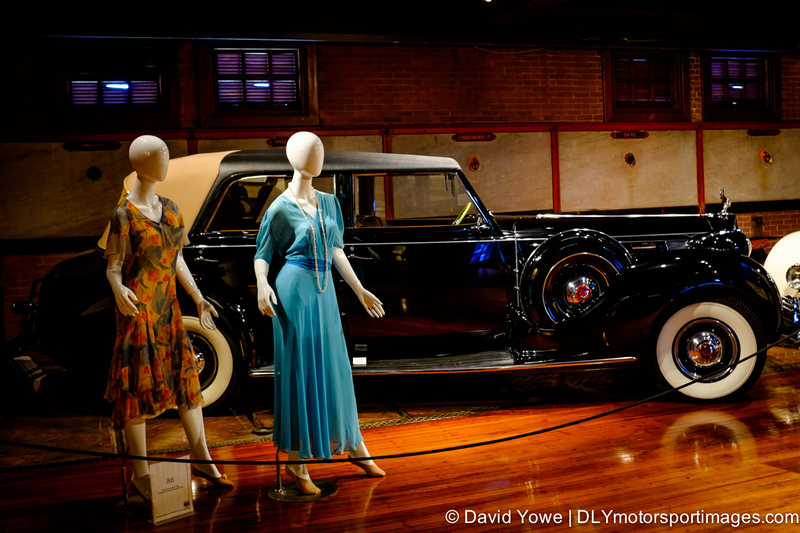 In the lower level is a 1926 Lincoln 7-Limousine “bathed in the shadows and light” coming through the carriage door. 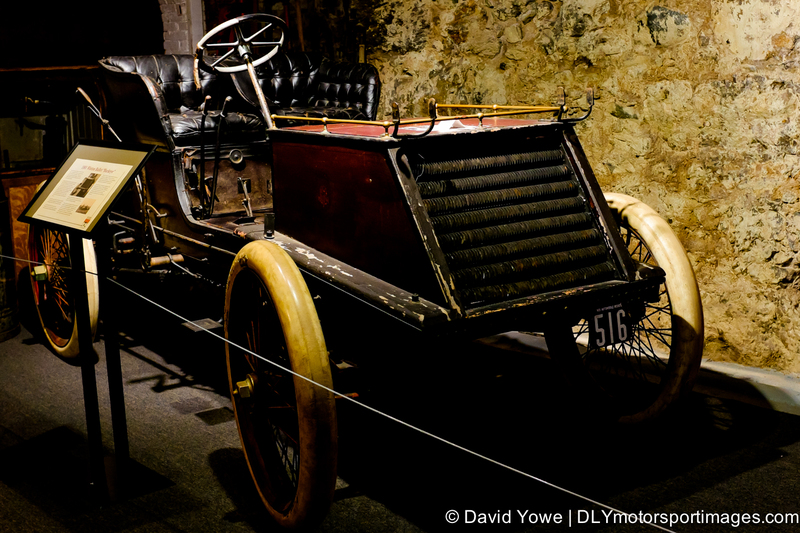 Also saw a 1901 Winton Bullet “Buckeye”. This car is considered the first production race car offered to the public. 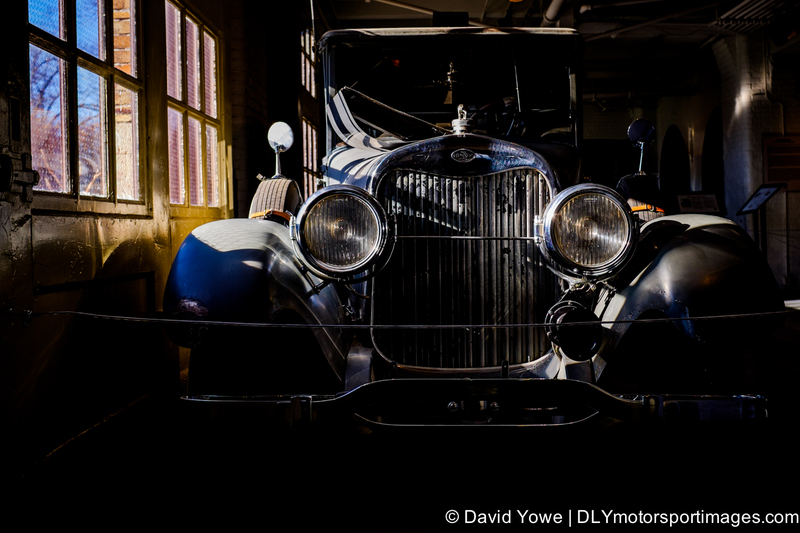 The car was powered by a 40 hp, 2-cylinder engine. Only four of this particular model were made. 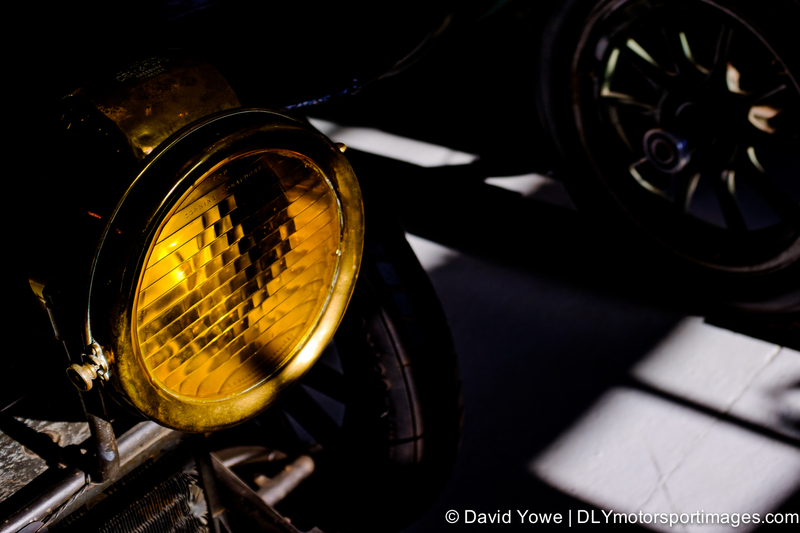 A yellow Corning Conaphore headlight on a 1906 Charron-Girodot et Voight. This was the Anderson’s most famous and most expensive automobile, and was nicknamed the Winniepocket. 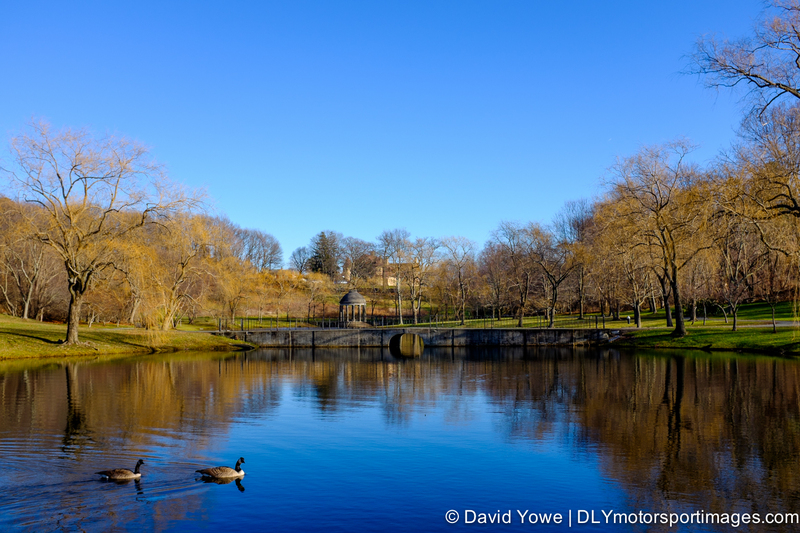 After seeing all the cars in the museum, I took a walk around the beautiful Larz Anderson Park. 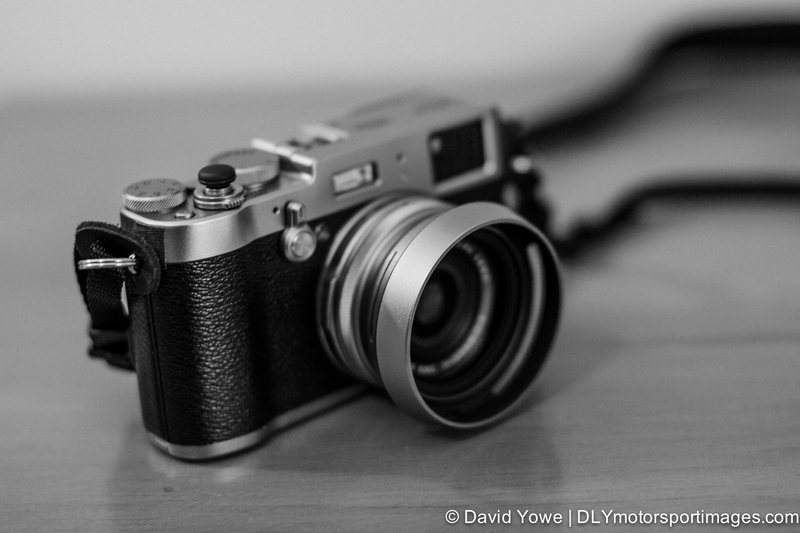 In closing, I really like the Fujifilm X100T and plan to do more photo walk-arounds with this camera. Maybe I’ll take it with me on a motorsport photography shoot next year with my Canon gear! Awesome camera David! Have a lot of fun and excellent images with!